First time students qualify for a free class when they have booked and paid for their initial lesson. Let your child to experience the joy of cooking and baking. 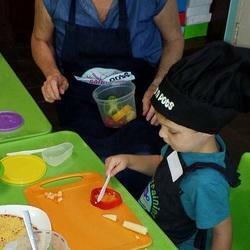 Tots n Pots offers fun cooking and baking workshops for ages 4* – 11 which also help to develop fine motor skills. 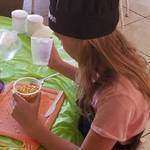 During each of our classes children learn a new recipe. (These vary between sweet and savoury and baking and non-baking recipes) The classes are between an hour and an hour and a half and include a related craft unless we do both baking and icing in one class, yummy!